Mr. Weisman is a Founder and Managing Partner of SCP Vitalife Partners, and a Partner of SCP Partners, with more than $1 billion under management in a series of venture capital investment funds. He has been a member of the investment committee of Vitalife Life Sciences Fund since its inception, and has worked closely with Vitalife since SCP Partners became Vitalife’s U.S. sponsor in 2002. He has extensive experience in venture capital investing, particularly in the life sciences area, dating back to 1990. Mr. Weisman has been a Partner of SCP Partners since its inception in 1996. SCP is a multistage private equity manager with $830 million under management in two funds. He has led SCP’s efforts in the life sciences area, which include investments in the U.S. and Israel. He has also led several other technology investments for SCP. 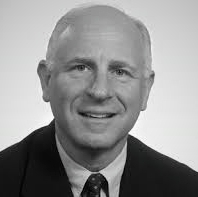 Mr. Weisman serves as chairman of the board or a director of several portfolio companies. In 1990, Mr. Weisman became Vice President and a member of the board of directors of CIP Capital L.P., a Small Business Investment Company licensed by the SBA. Mr. Weisman led many of the successful life science investments made by CIP. From 1987 to 1990, Mr. Weisman operated a management and financial advisory firm focusing on the reorganization and turnaround of troubled companies. He began his career in 1982 practicing reorganization law at a large Philadelphia law firm. Mr. Weisman is a Director or Chairman of several companies, including ReWalk Robotics, DIR Technologies, Garnet BioTherapeutics, LZ Therapeutics, Recro Pharma and Trig Medical. Mr. Weisman received his B.A. from the University of Pennsylvania and his J.D. from the University of Michigan Law School. He is the Chairman of the board of trustees of Young Scholars School and Young Scholars Frederick Douglass, two inner-city public schools serving approximately 1,000 economically disadvantaged children. He is also a board member of the Philadelphia-Israel Chamber of Commerce and Mid-Atlantic Diamond Ventures, the venture forum of Temple University.